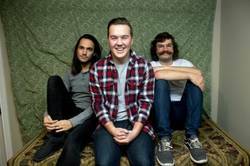 To continue a recent string of new releases, Tiny Moving Parts will be back with the new Swell, coming on on Jan. 26 on Triple Crown Records. A follow-up to Celebrate, the new album has 10 songs. The video for "Caution" can be viewed below.